Welcome to the exclusive world class resort living of the FINLAYSON REACH PENTHOUSES at BEAR MOUNTAIN. Nestled in the foothills of Greater Victoria, you will find a place where mountainside resort living is defined. A place where your every indulgence is satisfied. An unparalleled location commanding spectacular panoramic views of parklands, forested hilltops, mountains and ocean vistas beyond. The elevator opens right into the Incredible Diamond Penthouse. Offering 2,691 seductive sq.ft. on two levels, with 3 beds and a media room, this is the largest suite in Finlayson Reach. This stunning condominium residence delivers the kind of care and attention only luxury resort living affords with exceptional services and amenities designed to please even the most discerning residents. Tucked away at the base of Mount Finlayson, and located between the first and second fairways of Bear Mountain�s Jack & Steve Nicklaus co-designed golf course, the buildings exceptional views are guaranteed to remain undisturbed. This sophisticated steel and concrete building will offer the ultimate in Bear Mountain Resort living. Each Finlayson Reach residence embodies a wealth of detailing, finishing and rich colour palettes that all combine to create a spectacular living space in one of the most perfect settings in Canada. Boasting one of Bear Mountain�s prime locations, Finlayson Reach is perfectly situated just a short stroll from the Village. The main street of the Village will provide the focal point for the entire resort with an outdoor plaza, coffee houses, specialty shops, boutiques, bistros and restaurants. 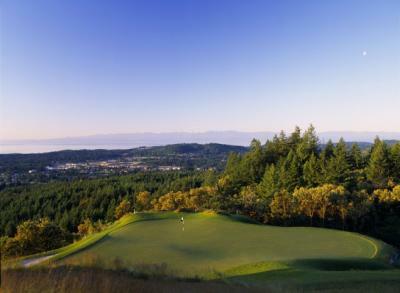 The Village itself will border the exclusive Westin Bear Mountain Victoria Golf Resort & Spa and the Mountainside Athletic Club. Bear Mountain will be Victoria's largest multi-dimensional resort and residential development. It is a true resort community, master-planned to ensure it's in harmony with the surrounding rugged terrain and natural landscape. It weaves flawlessly between the rolling fairways of the golf course and lush forests, encircling a vibrant village. Bear Mountain is a development unparalleled in its design and vision, offering the secluded luxury of a rural mountainside resort just minutes from beautiful downtown Victoria.